10% off select properties winter 2018. Offer applies to select properties only. 4 or 5 day minimum stays apply during peak periods. Luxury in the Aspens building 4, 3 bedrooms and 2 bathrooms, a private hot tub to soak away the day and a ski run at the door, perfect location for your dream getaway. King bed in the master, 2 singles in the 2nd and a bunk in the 3rd. BBQ on the Deck. A fabulous, rustic stand-alone vacation rental, with amazing floor-to-ceiling mountain views. 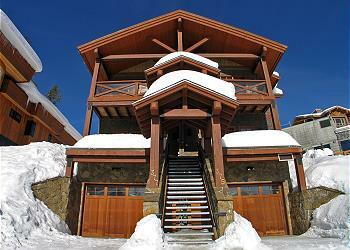 Private hot-tub, ideal for large families to feel at home in, a great ski-in/ski-out retreat. 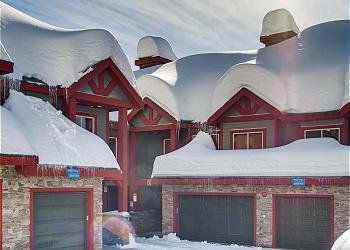 Rockridge 375, a luxurious residence in Big White offers a king bed in master bedroom, a queen in the second & third, a single-over-double bunk bed in the fourth, three single beds and single bunk beds in the media room. 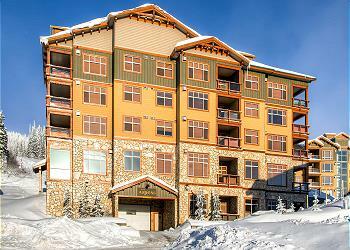 Ski run access, heated garage.